My friend Steve Yates, Marketing Director at U of Mississippi Press and fine author, shares some interesting comments about his experience from the other side of things (as an author) with the launch of his prize-winning collection of stories. 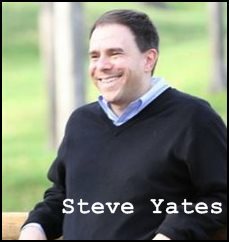 Click Here to read Steve Yates’ insights on the Fiction and History website. He also wrote some time back a smart and fascinating blog post on the uses of history and historical fact in fiction, especially (but not only) as it relates to the Civil War. Click Here to read this article.